International Quality Award 2016 for Excellence in Early Childhood Education, from "BrandsImpact." Indian Achievers Award 2016 for Education Excellence for outstanding achievement in Education & Social Service, from "Indian Achievers Forum." Pride of Indian Education Award 2016 for Fastest Growing School for Innovation Early Childhood Education (South India), from "BrandsImpact." 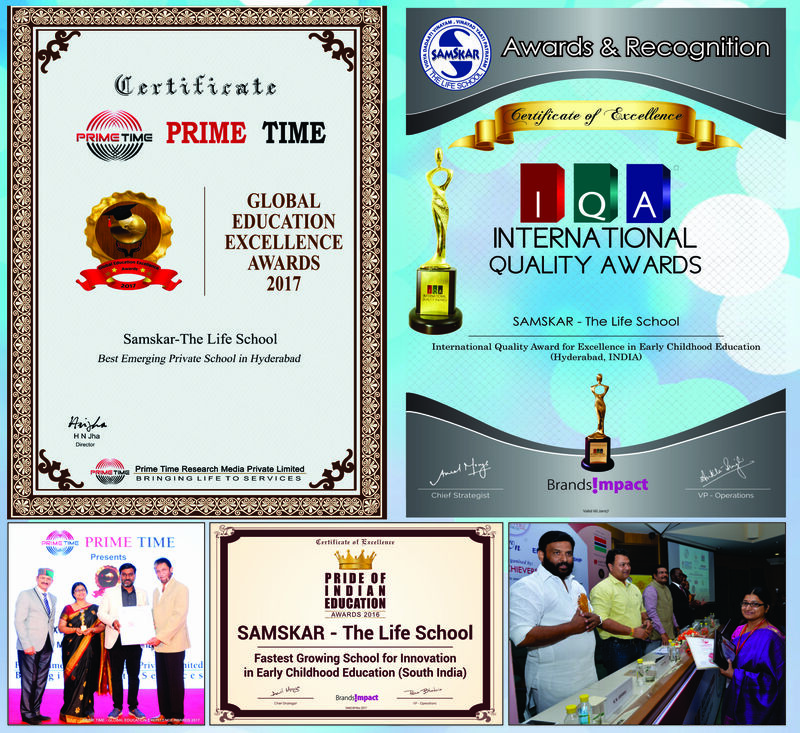 Global Education Excellence Award 2017 for Best Emerging Private School in Hyderabad., from "Prime Time Media." The Torch Bearer Award 2019 for Excellence in Education from " Your Baby Can, India & USA" presented in Bangalore.